Standards details about our manufactred stainless seamless&welded steel tube. Nickel Alloy Tube according to ASTM B163/B407/B444/B622/B677,most grades are available. ASTM, EN, JIS Standard, Chemical Composition, Mechanical Properties and others! KWK STEEL is one of the most specialized Chinese steel∋ckel tube manufacturer with ISO9001:2008 certification, and also a leading supplier of high quality steel tube of carbon, alloy, stainless and nickel material.We endow the brand “KWKSTEEL" with the spirit of “Specialized Service, Steel Quality, Stainless Management". KWK STEEL owns three mills mainly produce seamless carbon steel tube, alloy seamless steel tube, seamless&welded stainless steel tube, as well as nicek alloy tube. 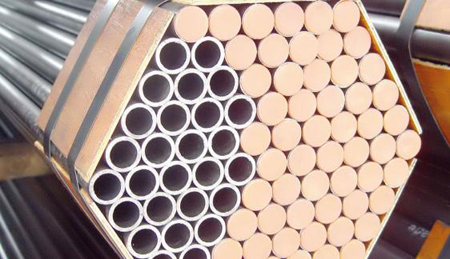 Available grades for tube and pipe is as below. Taiwanese stainless steelmakers plan to ..
Taiwanese YC Inox's shipments may hit re..
Korea’s stainless HRC imports rise in Se..